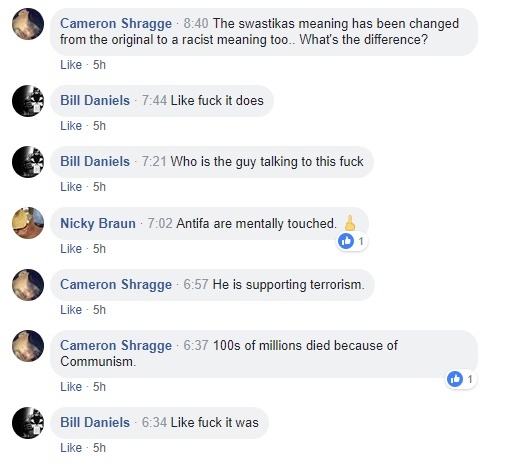 You know, it I once thought that making fun of the Aryan Guard/Blood & Honour name change as well as the rather lengthy and ostentatious Steven Blah Blah Myatt was sort of funny in my own "I'm-secretly-a-two-year-old" way. 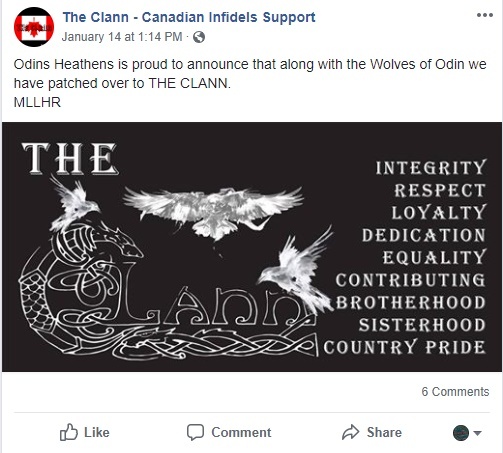 In Edmonton we now have the Soldiers of Odin/Wolves of Odin/Odin's Heathens/Patriot Pride Canada/Canadian Infidels/The Clann. 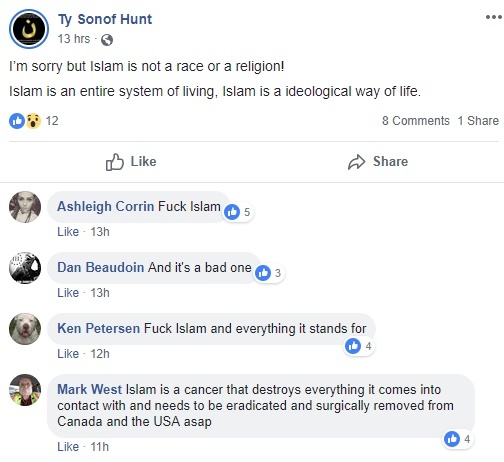 These people change their groups' names more frequently then they change their underwear. Gee. Tyson is being photographed giving the middle finger. How edgy and totally original of you. I grew up going to Al-Rashid. My dads funeral started at Al-Rashid. 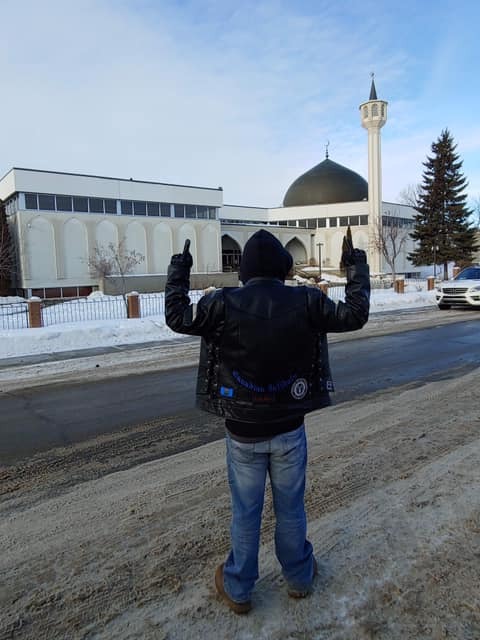 A mosque by the same name was the first mosque in Canada. 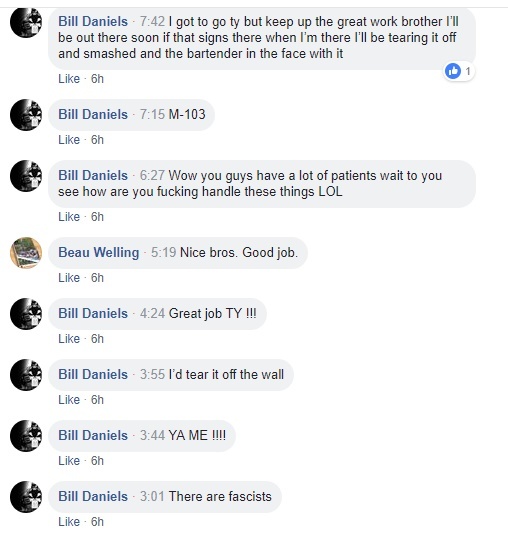 Among those commenting are Beau Welling, leader of the Alberta III% militia as well as Bill Daniels who is a former BC Soldiers of Odin leader as well as the short lived national leader of the racist gang before the collapse as a national organization. He also has his own history of legal troubles. 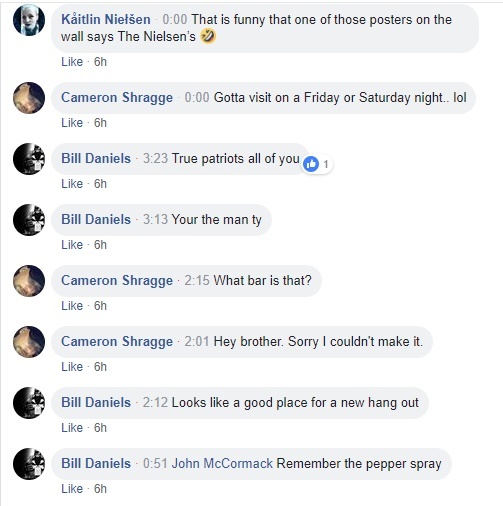 Gotta say, not a good look for ya'll. Well, it seems that you are doing your damnest to convince people you're both. Correct me if I am wrong, but is he not giving the cameraman the finger? 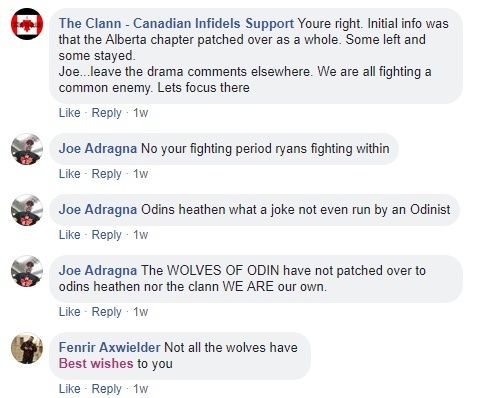 Shows you the ignorance and cowardice of those Wolves of Odin tards. 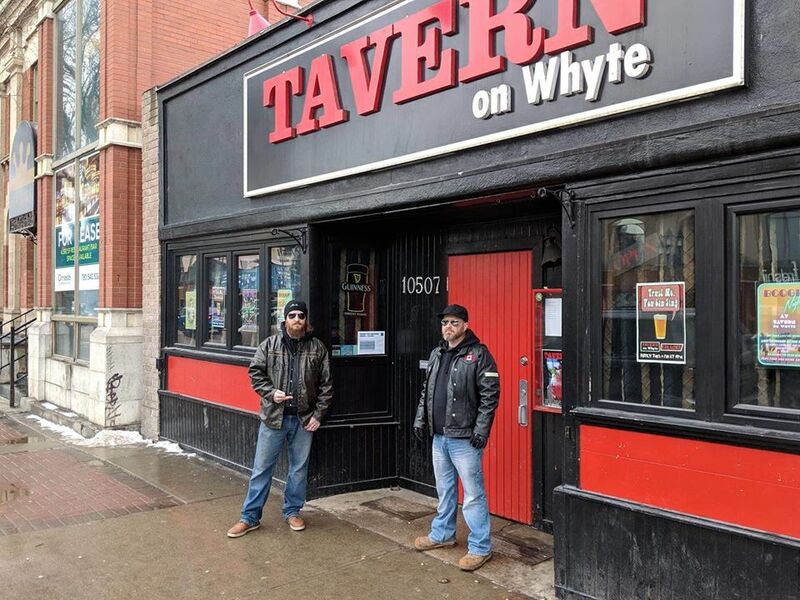 There are no antifa bars in Edmonton. 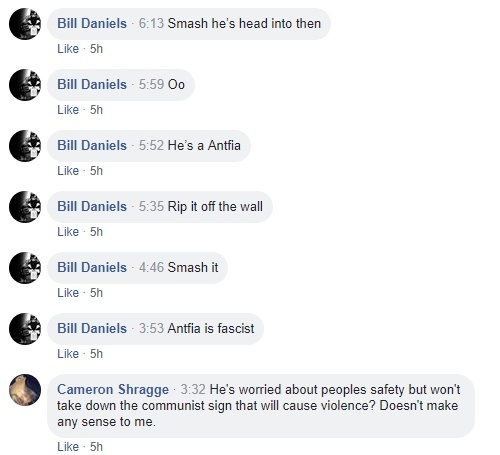 Just because someone disagrees with their racist views doesn't make them antifa, those thugs truly are stupid. The frame with four individuals in it, lower right hand corner is William l Majeau...hiding behind sunglasses. 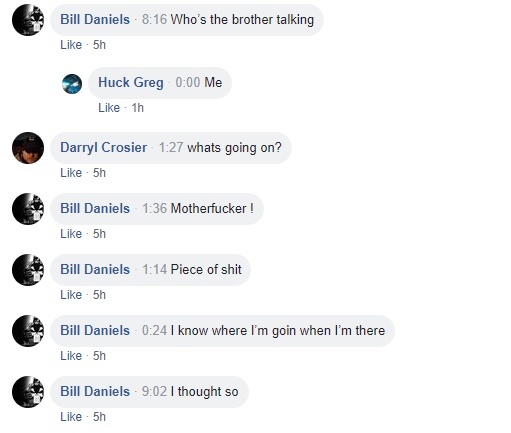 I am sure you know the others.